The above photo is of a male Vaejovis feti, found in Arizona. Vaejovis feti is found at high elevations in the mountains of New Mexico and Arizona. I am fortunate to have pics of this rare Arizona Scorpion. 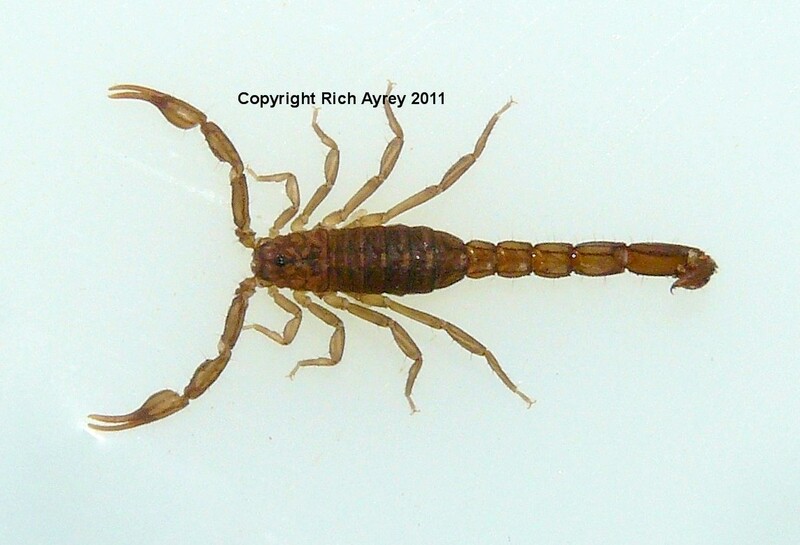 This Flagstaff Arizona Scorpion site copyright Rich Ayrey 2009 - 2016. This Arizona Scorpion World page created 08/15/09. Arizona Scorpion World last updated 05/13/2016.